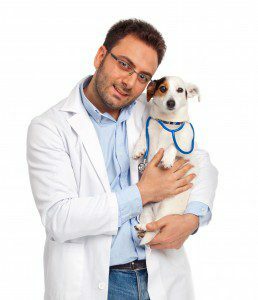 One of the most important decisions you will make for your dog is choosing a veterinarian and before you begin, we suggest making sure to have the proper pet insurance to help avoid unforeseen medical costs. Healthy Paws Pet Insurance & Foundation is a top rated pet insurance company that you may want to consider as they have the highest customer satisfaction reviews year over year. Ask your family and friends for recommendations. You should consider several different options, not just vet clinics that are located in your neighborhood. If you live in New York, New Jersey or Connecticut, take a look at our Veterinarian Referral List. Visit the clinics on your list and talk with the staff about hours, overnight and emergency care practices, billing details and other services. You should make sure the facility is clean and the staff is caring and courteous. Although animal hospitals are not required to be accredited, those that are AAHA-accredited undergo evaluation on approximately 900 standards, including patient care and pain management, surgery, exam facilities, medical records, cleanliness, emergency services, dental care, diagnostic imaging and continuing education. If you choose a clinic that is not open around the clock, figure out where the closest 24-hour animal hospital is located in case of an emergency. If you live in New York, New Jersey or Connecticut, take a look at our Veterinarian Referral List to find a 24-hour clinic near you. What are his or her credentials, and does he or she have a solid reputation within the community? Does he or she speak in a relaxed manner and does your dog appear to be at ease in his or her care? Does he or she take time to talk with you about procedures, routine vaccination protocols and other routine treatments? Would you feel comfortable if this was your doctor? Trust your gut.